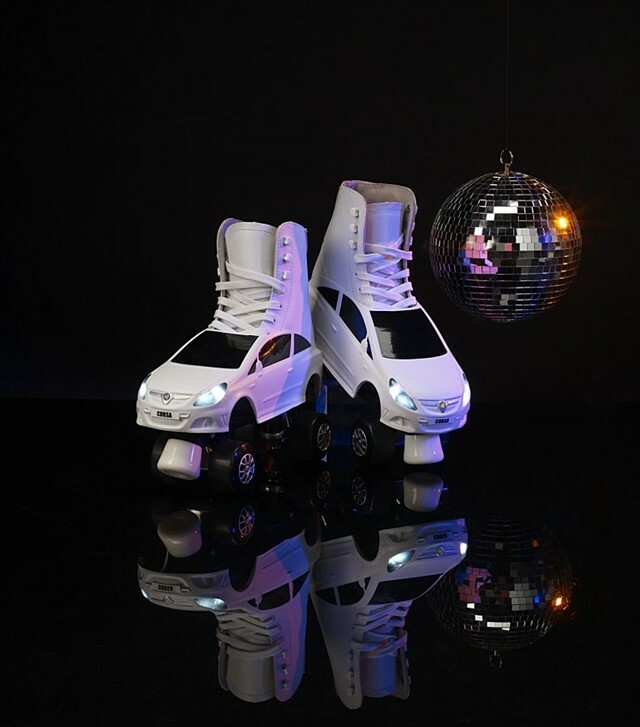 The ultimate roller disco is hitting a secret East London location tomorrow complete with dress-up car-aoke and DJ sets from Carl Barat and Cory Kennedy. Vauxhall will be pushing the conventions of roller disco to another level this summer with their Vauxhall Skate event, which promises to take us on a journey through a 21st century vision of the future where 70s disco meets Knight Rider on roller skates. If the time travelling journey fails, at the very least, guests will get to enjoy the skating joys of their truly weird but wonderful Vauxhall Corsa roller skates (see the mesmerising effect they have on onlookers in the video below). Due to new commitments, Remi Nicole who was on the DJ line-up will be unable to attend but Cory Kennedy has flown in from New York to take her place. She will be joined by Alfie Allen, Carl Barat, Sophie Ellis Bextor and Smash and Grab's DJ duo Queens of Noize, who will all be manning the decks for the night. Drinks will be provided by Bacardi Mojito. Other than the vehicle skates, there will be distractions a-plenty involving cakes, dressing up and hair styling. Jonny Woo will be hosting a 'car-aroke' provided by Lucky Voice, complete with dressing-up props. A car pit-stop hair salon with free styling from Lyndell Mansfield, who's currently working with The Gossip. Skaters can make energy pit stops at the hot dogs and cup cakes stands and Kate Moross has also been working on a special four-wheeled piece of art that will be on display. Dazed and Vauxhall have partnered up to give away 35 pairs of free tickets for the roller skate extravaganza. Just click here to enter your email address to enter. If that fails, you can also put yourself forward for tickets here. Vauxhall Skate at a secret Shoreditch location on July 29 from 8pm till late.